Chairman of far left Peace Now to step down after 13 years, serve as Secretary-General of the organization instead. 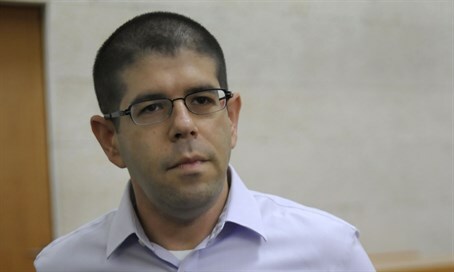 The chairman of the far left Peace Now organization, Yariv Oppenheimer, announced on Sunday that he would be stepping down, instead serving as the Secretary-General of the organization in the fields of politics and media. Peace Now is expected to issue a tender for the appointment of a new chairman whose role will be to address the logistical issues of the organization. "After more than thirteen years at Peace Now, I feel the time has come to make room for new public and private challenges," wrote Oppenheimer Facebook. Oppenheimer, who has been the persistently bitter ideological opponent of Jews in Judea and Samaria, told Arutz Sheva a few months ago that while he is “anti-settler”, he respects the idealism of the residents of the Jewish communities in Judea and Samaria. "There is plenty of idealism that I oppose, but it exists. People come here not for personal reasons but to change the State of Israel or change reality, and it reminds me of the caring of friends I have on the left,” added Oppenheimer.